My second gift to the triplets is the gift of tradition. 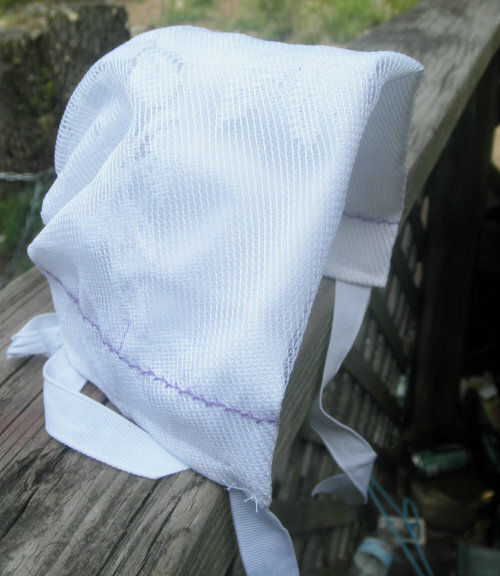 I am giving a handmade baby bonnet that turns into a wedding handkerchief on her wedding day. When she has her first child she can turn it back into a bonnet. This easy to make sentimental gift can be passed down from generation to generation. 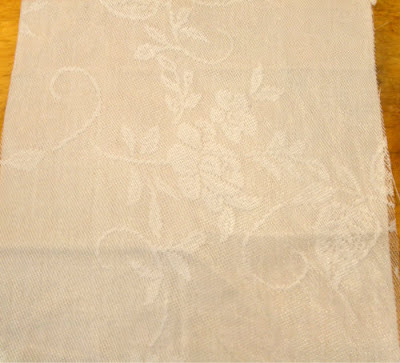 Fabric and Lace Fabric - I used a new standerd pillow case and a table cloth, but look for vintage for an extra special gift. Cut a 12 inch by 12 inch square of both fabrics and lay them on top of one and other. 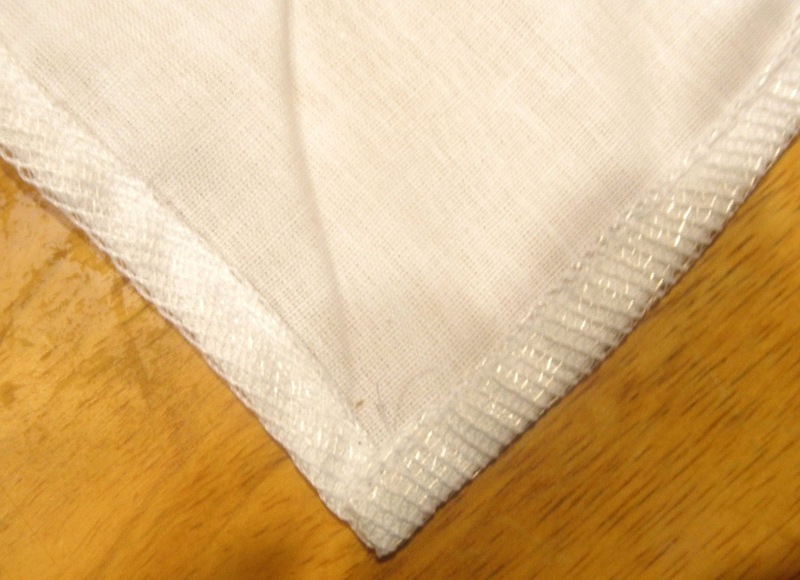 Attach with a straight stitch close to the edge. From this point forward they will be treated as a single piece of fabric. Sew a narrow hem around all four sides. Work in parallels. After hemming the first side go to the opposite side and hem. Then do the two remaining hems. 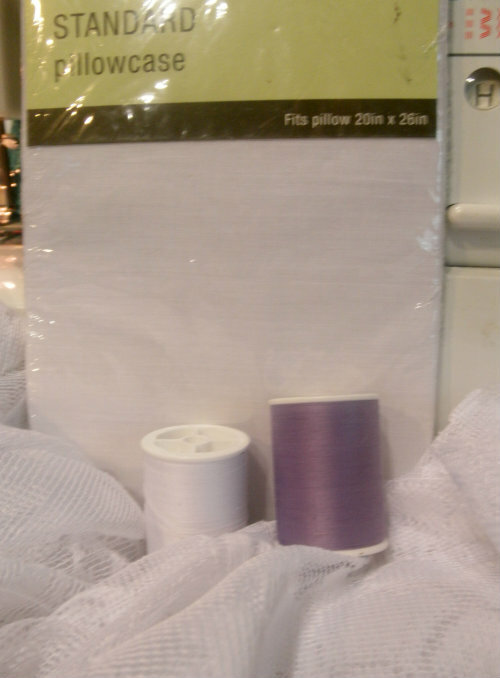 Remove the white thread and bobbin from your machine and insert you decorative color. Choose a decorative stitch from your machine (I used a feather stitch) And sew one inch from the edge in a straight line around all four sides. 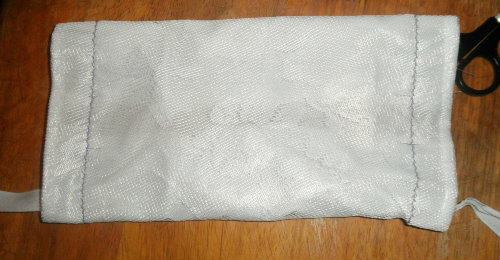 You now have your wedding handkerchief. Now we will form the bonnet. 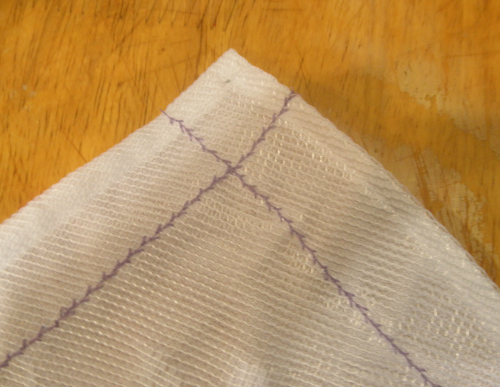 Fold two parallel sides under 2 and 1/2 inches each and press. 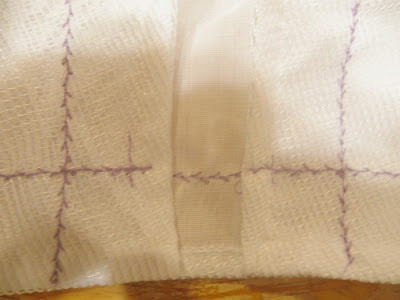 Adjust the setting on your machine so that your stitches are slightly larger. 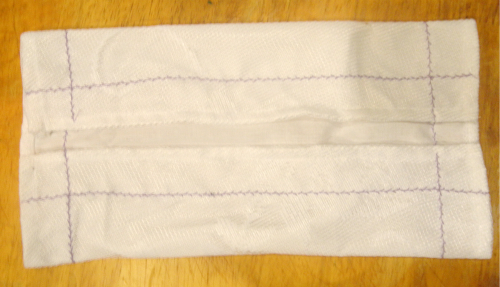 Sew a few small stitches on each of the four inside corners (see picture below) to hold the folds in place. These stitches are in contrasting thread so they will be easy to find and snip on the wedding day. Insert a length of ribbon into one of the casings . 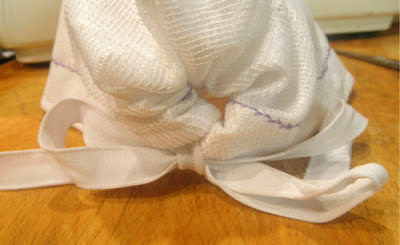 Gather the ribbon and fabric and tie it in a bow to form the back of the bonnet. Now slide two pieces of ribbon into the front and stitch each in place to make the ties for the bonnet front. 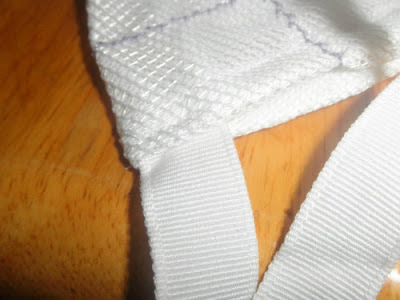 I chose to switch back to white thread because the ribbon would make these stitches easy to find and snip, but you can use contrasting if you prefer. Now your bonnet is complete. You can include instructions in the gift, or use the poem below. There are many versions of this poem so do a quick Google search for the one you like the best. Of fine lace and ribbon bands. To be admired by all. Before her daughter's wedding day. And receive her wedding band. When he asks her for her hand. If you missed gift # 1 you can see it here. Don't forget to look for gift # 3 which will be revealed later in the week.